"The book is largely compensated by the lively imagination, as the adventure continues in infinite exaltation, with the joyful freshness of the characters and events, both naive and vital to often be unforgettable. The narrative moved in a frenetic pace, and they were exciting and full of sense that truly feels something that sci-fiction today has perhaps lost. The narrative on the concepts of space, time and reality are treated in a concise, fluent and never boring manner, and this is definitely a great merit of the author, that is clear, simple, deep, thorough, orderly and compelling to read and re-read, the pages that shore up many concepts, many explanations for having always clear before the eyes and mind the idea more updated universe that contemporary science has developed...."
"Invasion of the Earthmen by Vitor Rodrigues" is published by Inner Vision Press! 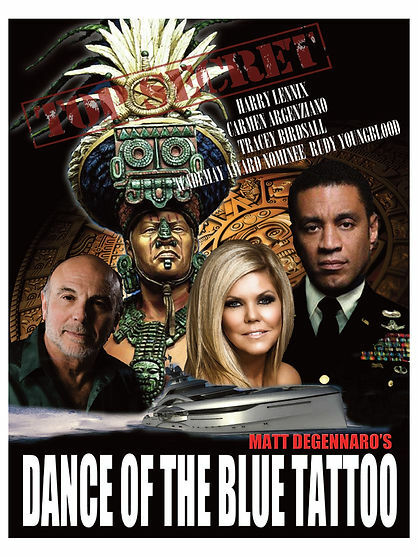 The official launch date is January 1st 2015. It takes up to four weeks to filter through the distribution channels and in some circumstances it can take a bit longer but all things being equal you should be able to obtain your copy before Christmas. In fact it is available on Amazon right now and the reviews are already starting to come in... Pre-order your copy today. 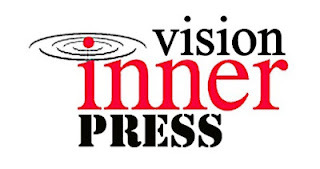 Copyrights Inner Vision Press 2014. 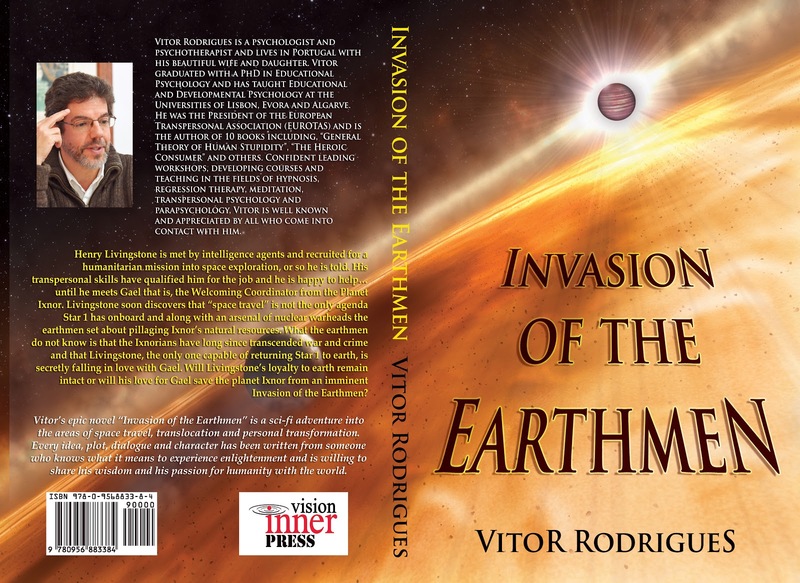 Reviews For "Invasion of The Earthmen by Vitor Rodrigues"
Review for Invasion of the Earthmen. Special thanks to Bettina Myers for her awesome and astute (and the first) review of the new book by Vitor Rodrigues, soon to be published by Inner Vision Press. "I really enjoyed this book. The “Invasion of the Earthmen” is a fascinating, well-researched interplanetary adventure written in an accessible language, with characters that are convincing and often delightful. Henry Livingstone is the book’s hero, who takes an earth-ship and crew on a voyage to the planet Ixnor. The events that ensue in this idealistic utopia surprise the intrepid earthmen with Livingstone, who soon realise that they may have bitten off more than they can chew. The book surprised me at every turn and I really never knew what was going to happen next – a gripping spiritual tale." Review by Bettina Myers, 17th November 2014. Post by Invasion of the Earthmen by Vitor Rodrigues. "I really enjoyed reading “Invasion of the Earthmen”. It was easy, fast and fun reading ideal for someone who wants a fun book that also can make you think. “Invasion of the Earthmen” is now what I would call a retro sci-fi novel that dwells on the evolution of mankind and its consciousness. Unlike other consciousness evolution titles (The Celestine Prophecy comes to mind) Vitor’s utopia in Ixnor is not boring, one sided or totalitarian. One could imagine one of the nonviolent planets of C. S. Lewis’s cosmic trilogy evolving into something like Ixnor. The point for consciousness evolution is well made and the clarity of the narrative helps one to rapidly absorb it. It is clear from the start that the main narrative – the huge earth space ship journey to a distant planet – is but a shadow reflection of the true journey one is to witness – an inner journey more for the reader than of any of the characters. The non-sequential first chapters alert the reader to the inner character of the book and its subject, consciousness. Like “One hundred zen stories” this book allows you to ponder on high matters without demanding much of you. It’s fun, easy reading with consciousness in mind." Review by Maria Miguens, 8th December 2014. 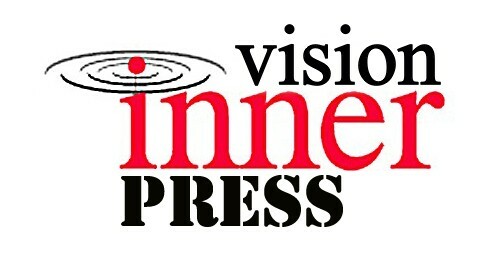 Copyrights Inner Vision Press, 2014.